As a frequent Nordstrom-er, I thought my department store tool belt was well stocked. Snobby sales women? Got it. Hiding my shock at the price tag on that stunning Burberry coat? Listed at the tip-top of my resumé. But an infinite number of trips to the promise land (aka, any American department store) couldn’t prepare me for the upmost luxury London has to offer, the status symbol one has “made it” in the poshest city in the world: Harrod’s. When I walked in, the first thing that hit me was the scent. Forget Chanel No. 5, I imagine Heaven must have similar notes of vanilla wafting up and down the same marbled floors. The glossy floors are accented with gold and must be polished every morning to gleam so perfectly. The decadent chandeliers challenge the Ritz, and every speck of the soft light is caught by massive rocks secured under display cases. After taking in this building, which surely must be the eighth wonder of the world, I was again gob-smacked by the collection of bags Harrod’s proudly sells and lets poor college students gaze at with the upmost awe! Fan favorites, like the Gucci Soho and the classic Chanel boy bag, were present. But to see exotic, somewhat less mainstream works of art, like Hermès and Givenchy, hanging there, ready to be adored, purchased, and shown off, it was what dreams are made of! I floated on cloud 9 to the next section: the food hall. A grocery store should seem out of place in this luxury department store, but this supermarket is unparalleled to any other I have ever seen, Gucci Kroger included. 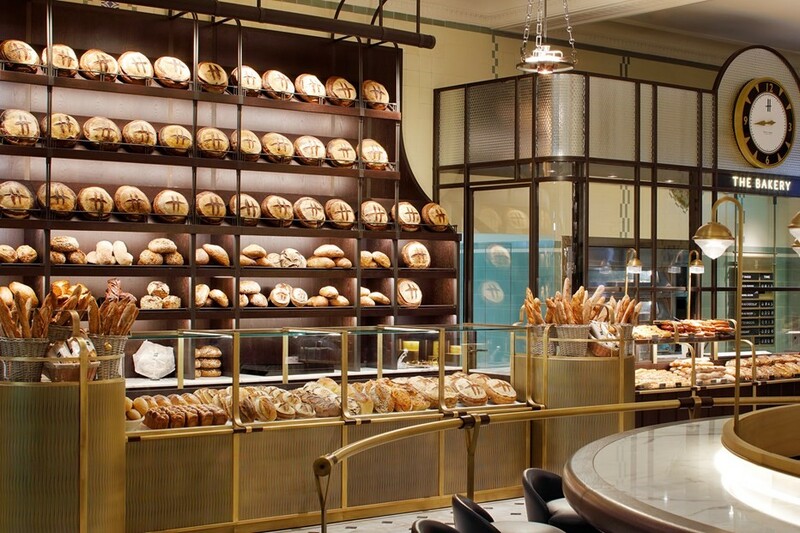 Freshly baked macaroons line the shelves, monogram-able bread waiting to be customized sits behind counters, and the most intricate cakes, hennaed with colorful icing, are high on display. 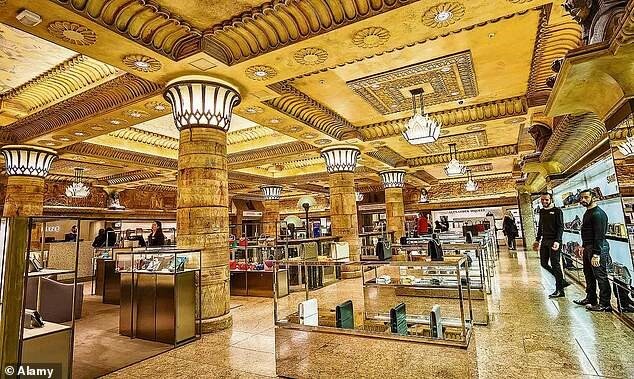 Employees sit behind the counters, proudly donning their green Harrod’s vests and meticulously organizing each display. Each section of the store was grander than the last, and each item more expensive. Walking around the massive shop, something became incredibly clear to me, these posh, well-dressed Londoners float around this store. They grab furs more expensive than my car and watches that match what I take out in student loans, while homeless people beg for spare change a street over. I am not making a moral judgement here, just an observation. I am sure the customers of Harrod’s donate time and money to charity and they reserve the right to spend their fortunes how they see fit. I suppose I am just stepping back and taking a look at the facts the world has presented. Inside those high, beautiful walls lie more luxury and extravagance than anything I have ever heard of. Yet, less than a block away are cold and hungry people, thankful for any coin thrown their way.